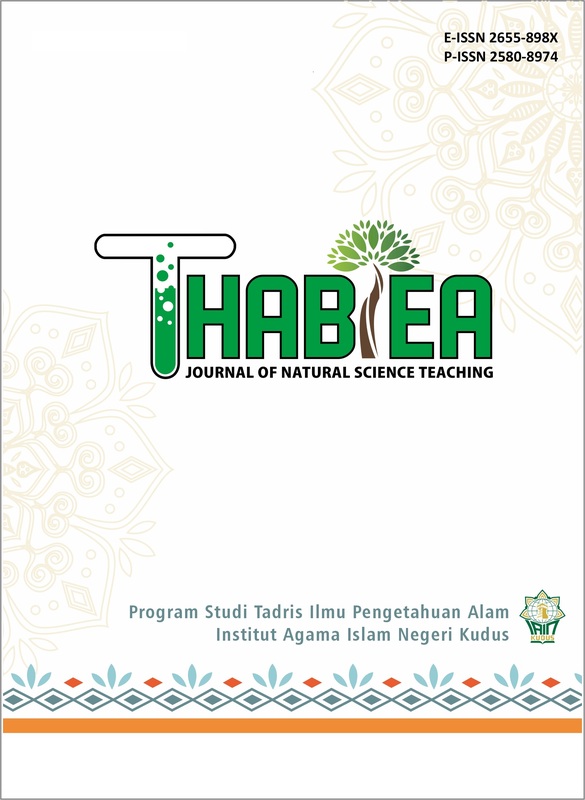 Thabiea : Journal of Natural Science Teaching is a natural science education journal published by program studi Tadris IPA, Institut Agama Islam Negeri (IAIN) Kudus. Thabiea is published twice a year as scientific communication means of academic people in the study of natural science education. Editorial board receives the articles from the educators, observers, researchers on natural science education to be published after having tight selection, peer review, and serious editing.